B-37A, Sushanklok - I, Gurgaon 122 002. India. The Dining Room gives a picturesque view of greenery. Guests at The Clover may choose to sit indoors or outside on the wooden patio. Our services are available from early morning till late night to serve you breakfast, lip-smacking snacks, meals and beverages. Our 24-hour Room Service menu is also available for in-room dining. Guests may choose from a variety of cuisines including Indian, Chinese and Continental. ...to know more visit our DINING page. The Boardroom at The Clover, with its state-of-the-art Audio Visual facilities, is equipped for meetings for upto 50 participants. Each conference package will specifically be designed to suit the needs of the client. ...to know more visit our MEETINGS & CONFERENCES page. The Clover offers Fax, WiFi Internet Connectivity, Printing, Photocopying, Scanning and Postbox Facilities. 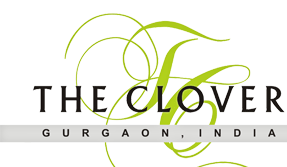 (c) The Clover, Gurgaon. All Rights Reserved. Site Design by Rashmee Pai Art & Design.